Petal It Forward is an annual event organized by the Society of American Florists that elicits squeals of delight and encourages a pay-it-forward attitude. 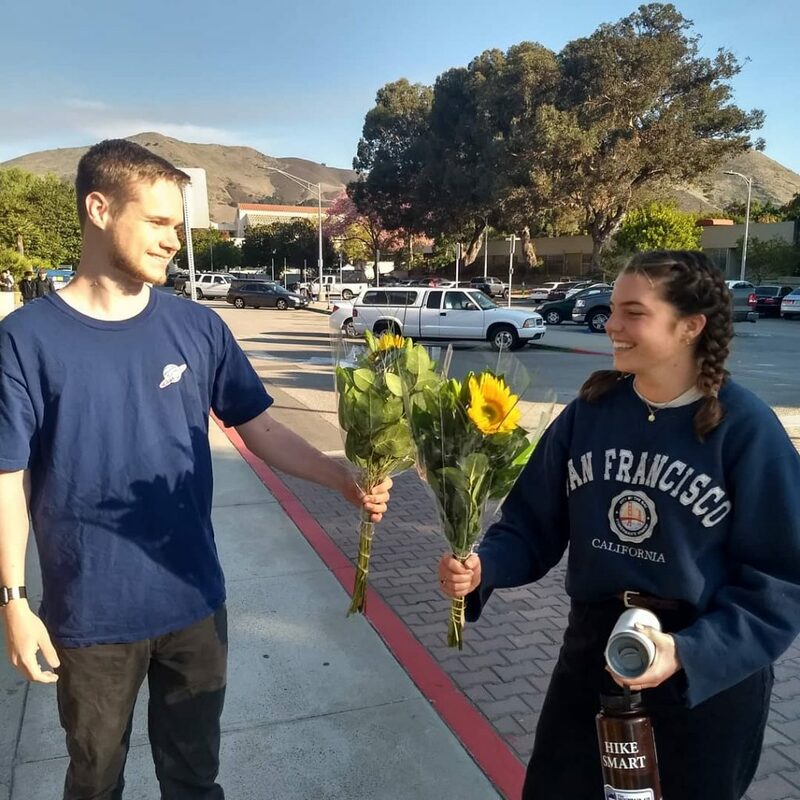 On this special day, florists nationwide randomly surprise people on the street with flowers. Lucky recipients receive two bouquets – one to keep and one to share. This year, the California Cut Flower Commission (CCFC) partnered with Cal Poly Universities’ Rose Parade Float teams to bring Petal It Forward to the Cal Poly Pomona and San Luis Obispo campuses on Oct. 24. 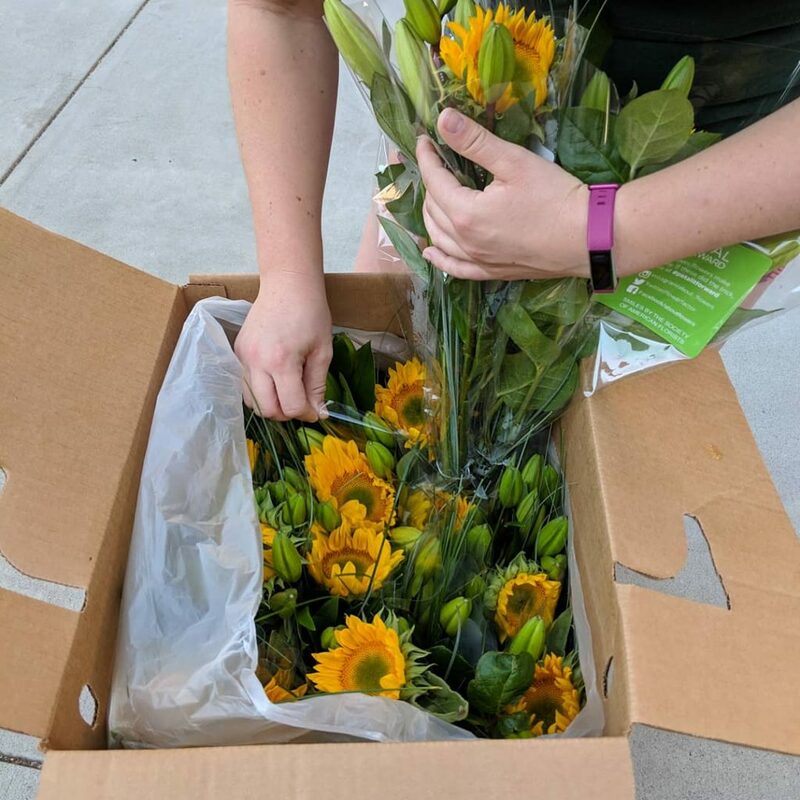 At Cal Poly Pomona, students assembled bouquets from more than 1,000 stems donated by Myriad Flowers, Mellano & Company, Resendiz Brothers Protea Growers and Ocean View Flowers. They then handed out their bouquets from a booth outside the Rose Parade Float Office and at a cultural center office on campus. 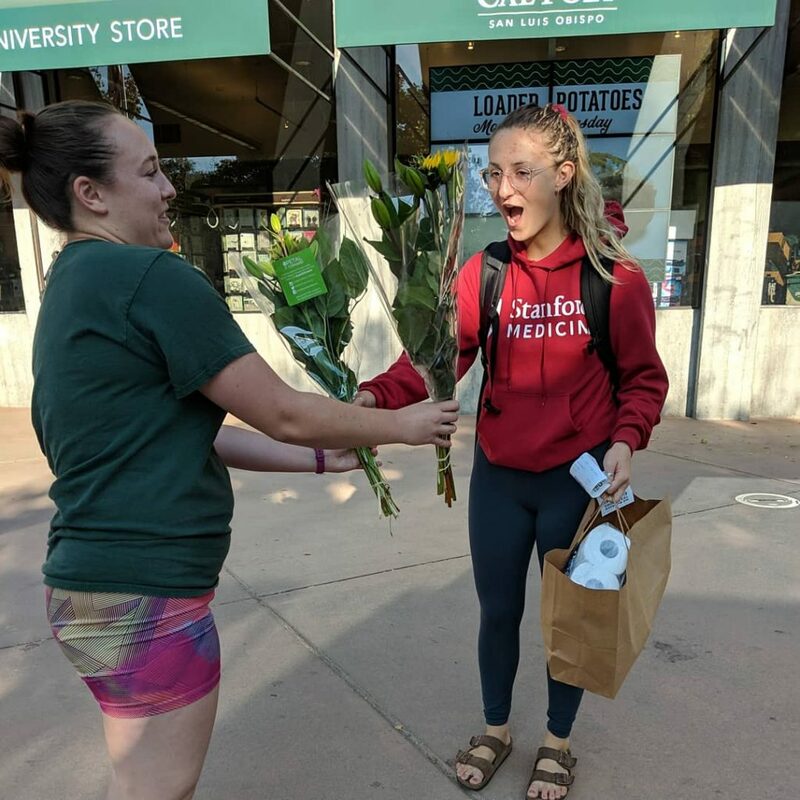 In San Luis Obispo, the Rose Parade Float team handed out 300 bouquets donated by Holland America Flowers in the University Union Plaza and at Dexter Lawn, a campus social center. The bouquets disappeared in 45 minutes, much more quickly than the planned three hours. In addition to spreading the flower love, Rose Float teams, outfitted in Rose Float shirts and flair, took the opportunity to tell recipients about the annual Cal Poly Rose Parade Float – currently under construction for Jan. 1, 2019. They also shared that flower donations from California’s flower farmers, with help from CCFC, make both the float and Petal It Forward possible. 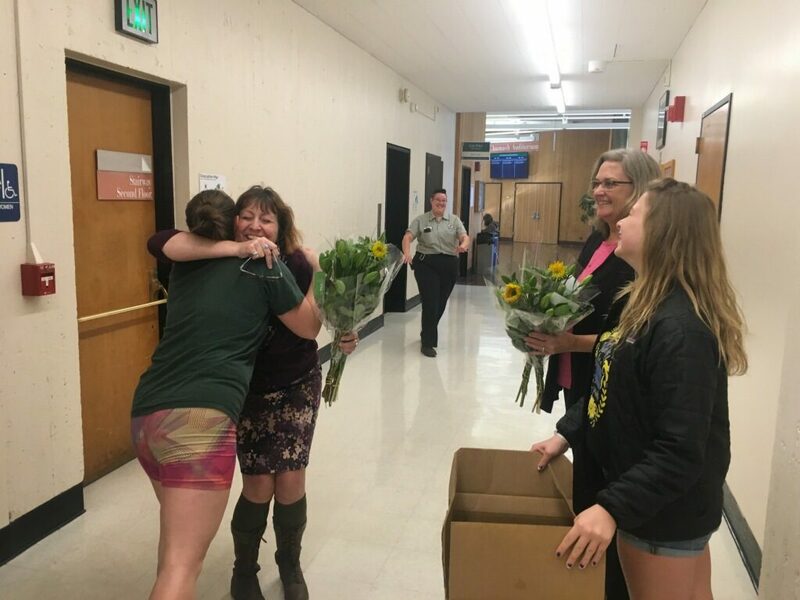 In San Luis Obispo, deco chair Sydney Strong said that surprising people with a random act of kindness and spreading joy with flowers was both fulfilling and exciting. “It was also nice in that it allowed our program, Cal Poly Rose Float, to interact with parts of our community that we usually don’t see on the day-to-day. We got many ‘this made my day!’ reactions. What was especially cool was how excited those that we gave flowers were to then give a bouquet to someone else,” Strong said. Both Blanco and Strong said they hope Petal It Forward becomes an annual tradition for the Cal Poly Rose Float teams. “It would be a great Rose Float tradition to have on campus!” Blanco said.